Switchback LED Lights are pretty popular on the market nowadays and you see more and more people making the transition to install Switchback LED turn signal bulbs into their cars. What’s special about these bulbs is that they have the ability to produce dual colors and can easily switch back and forth at a moment’s notice. This is actually a newly designed switchback that is two times brighter than anything else comparable on the market. 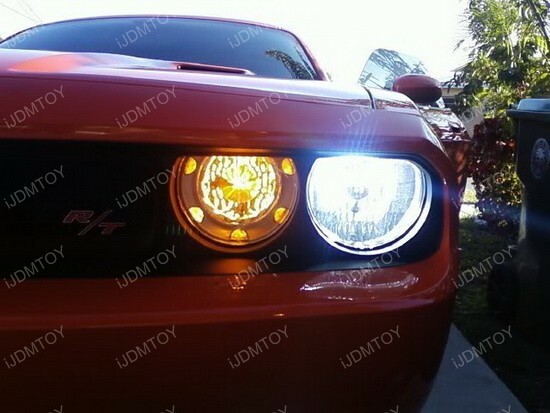 Dodge Challengers are known to be fierce, All-American muscle cars with sheer brute force and these Switchback LED bulbs really show how badass the car really is. You can say that this set of Switchback LED lights is simply the cherry on top of the entire thing because it really brings the whole car together. Switchback LED lights are really mesmerizing to look at, and even better when it’s everyone else looking at you. There’s a reason why people are making the leap to snag a pair of Switchback LED lights and it’s no mystery why. 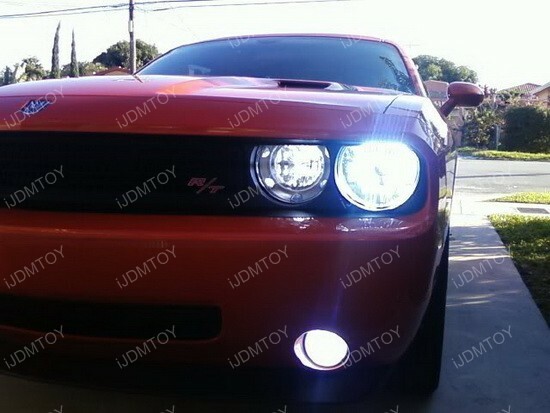 This upgrade really ties the whole thing together and if you ever felt like your car was missing something, maybe grabbing a pair of these special Dodge Challenger Switchback LED bulbs will fill that void. This entry was posted in - LED & HID Updates, Dodge and tagged 3157, 3457, 4157, amber, American, Challenger, dodge, iJDMTOY, Installation, LED, muscle car, Switchback, turn sigal lights, turn signal, turn signal indicators, white by Shari. Bookmark the permalink.